If the raccoons ever pay your yard a visit and leave your bird feeder topsy-turvy, or if an especially strong storm ravages your garden, we've got you covered. The Best-1 hummingbird feeder bottom is very durable and built to last, but everything has a limit. When wear and tear happens, or maybe if you just want to give your bird feeder a makeover, this replacement bottom for Best-1 feeders is your best bet. 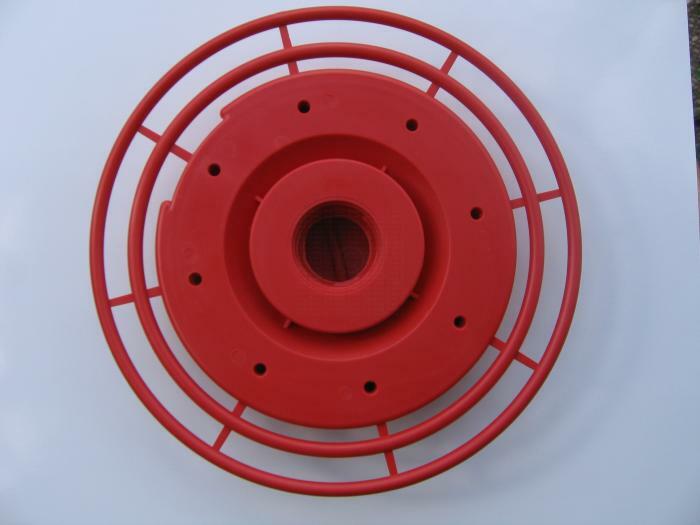 Instead of throwing out a half-broken feeder, why not just buy a replacement part? It's cheaper, and better for the environment! Fits any Best-1 feeder. Exactly what I wanted! I feel like the shipping was too high - but once every 5-7 year I guess is okay but I will look around before I order next time. Thank you for your Prompt service. Feeder hummingbirds is perfect. Thanks for your prompt service. The part, enabling the hummers to reach the food, I ordered is working well, fit my older model, and the hummers are happy to be able to use this feeding station again. I love that you can buy replacement parts for your hummingbird feeder. Living in a sunny hot climate plastic outside tends to become brittle and break, so I appreciate being able to replace the plastic and keep using the glass bottle. 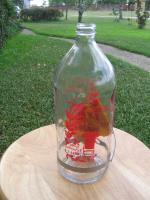 Have tried other styles of hummingbird feeders & always come back to the old IV bottle style as best. The newer design of bases (which I bought as replacements for the old all-in-one) are well made, easy to clean & easy to store. Thank you for the improved design. I go two replacement bottoms for "the best one" hummingbird feeder. The service was prompt and the product in good condition. The postage was a bit much for such small light weight items. 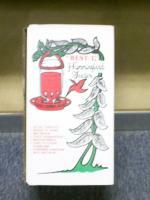 I have had a Best-1 Hummiingbird feeder for many years and have found it to be the best product for my hummers. Not only does it hold plenty of nectar, it has a sturdy wrap-around perch that several birds can use at the same time. (But seldom do you see hummers sharing anything, much less their feeder!) My original feeder was at least 15 years old when the bottom became slightly discolored and the perch broke in a few places. When I cleaned it, as I do regularly, I often wished I could open the bottom for more thorough cleaning. When I ordered the replacement bottom I was delighted to see that it had been redesigned so that it could be taken apart and cleaned easily. What an improvement! I have had many feeders over the years, but this one is the very best I have ever used. I highly recommend it. Your feeder bases are the best we've found--easy to clean and sturdy. Thank you!!! I felt very lucky to find your web site. The item I ordered is rare. Your web site is the only one I have found who carries it. Thank you for doing so. Was so happy to be able to get a replacement bottom for my feeder. Works perfectly! Now, I just need the ant protector! The place where we live is blessed with an over abundance of birds, we have "hummingbirds" all year round and I have been using the Best feeder (1 liter version) daily,from refilling once a day to a max of 6 times daily for a period of more than 3 years now. An excellent product in every way. Didn't need a new jar and the tray fits perfectly, no leaks, just what I needed. These are the best for hungry hummers! Best hummingbird feeder bottom. Had to get a new bottom because the raccoons were enjoying the goodies and knocked it to the ground overnight. They loved it also. I learned to take the feeder in at dark and place it outside in the morning. . They taught me to take the feeder in at dark and replace it outside in the morning. I have tried a lot of feeders, but the Best-1 is the best one. No more skinny little perches that break easily. Instead there is a rigid plastic lid that comes apart in 2 pieces for very easy cleaning. 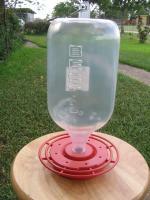 I have been using this type of hummingbird feeder for several years. It is exceptionally easy to clean, and has minimal parts that need replacing. I have used Best-1 hummingbird feeders for about 6 years now, and the hummingbirds here love it for easy access to the nectar by multiple birds at a time. 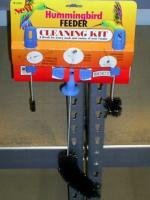 It is easy to clean, easy to assemble and easy to use. The feeders are exposed to the sun for 9 months out of the year, and they last very well. The product is good as usual. This is the part that the bears and the raccoons always break, so it's nice to be able to buy just the part I need, rather than a whole new feeder. I loved the replacement feeding port for my hummingbird feeder! 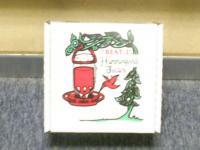 These are definitely the best hummingbird feeders I have ever used. They last a long time and are easy to fill and keep clean. Thank you. This is replacement parts for the hummingbird feeder. I like the feeder. It works very well and therefore instead of replacing it I bought the parts. I've tried ALL of the hummingbird feeders out there and this one is without a doubt the most intelligently designed. It's very easy to clean and the glass jars that come with the feeders have a flat bottom making them simple to fill. I purchased these as replacements for the older style Best-1 feeder bottom, which was a one-piece unit. These are in 2 pieces, which makes cleaning them much, much easier. The plastic also appears to be heavier and more durable. I believe these replacements to be considerably superior to the originals and am pleased that they have extended the life of the glass feeders. The best judges are the hummingbirds, who heavily frequent these feeders. A very good product, I have used them for many years and regard it as the best. 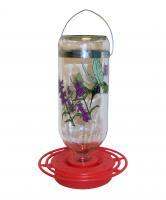 I have used your hummingbird feeder for several years and find it easy to use. The birds like it and wasps and larger birds who try to use it are thwarted. I ordered more because the wind dropped my feeder and broke the plastic perch. The bottle didn't break and it was great to be able to just replace the plastic bottom and not the whole thing.